We never get tired of making Orangescrum more desirable, so that you can even feel awesome using it. Rearranged components beautifully, colors chosen masterly, did hard work to give Orangescrum a fresh and crisp face lift. 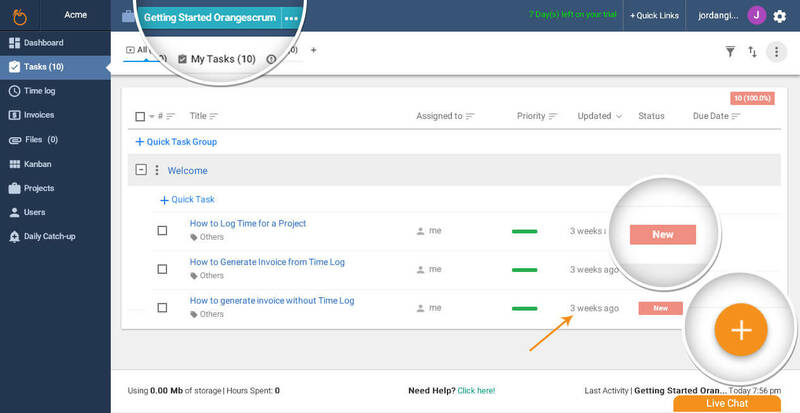 Quick Tasking within Task Groups has been made easy with a single click. Drag task from your source and drop it within Task Groups without a hitch. 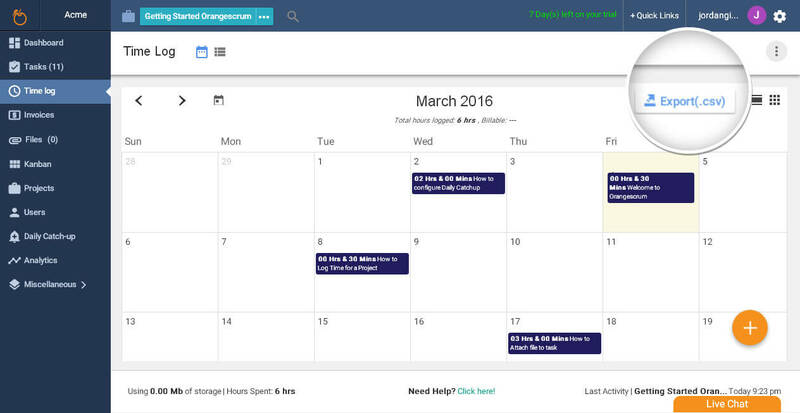 Displaying additional information like Updated Date, Priority and more. Added sorting to all the fields (Task#, Title, Assigned to, Priority, Updated date & Due date). 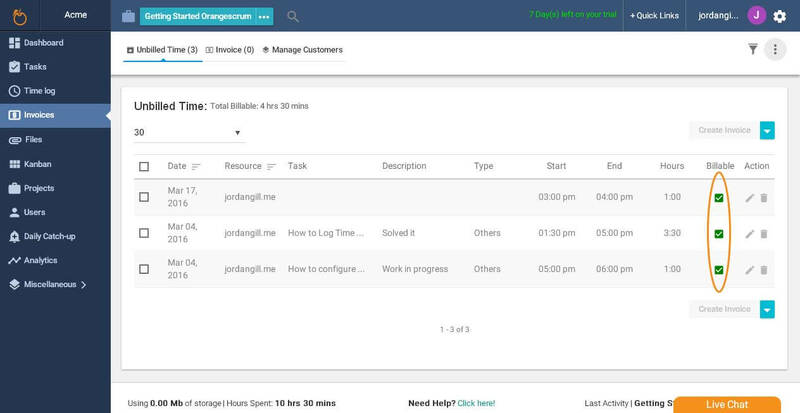 You will have all the above features in both Task List and Task Group page. Added “All project” option in the project drop down menu. This option is limited to only task list page. Fixed the auto suggest of users while adding users to a project. Improvised the “Import Task” functionality. Kanban View got a facelift with a new look. A new user interface with added functionalities to make it effortless for the user. 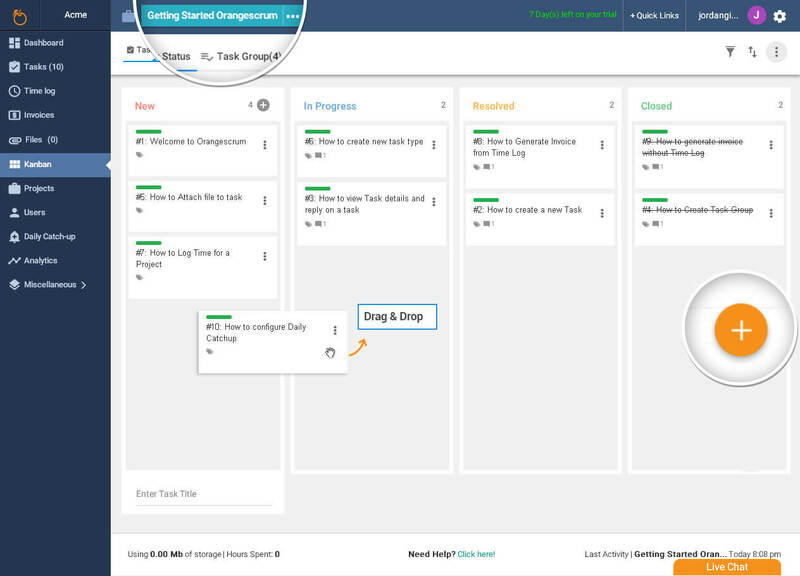 Check out all details about the New Kanban View. Added user permission to view invoice information. Now, only the “Admin” and “Owner” can access or view the Invoice information. Added Invoice setting option in the Invoice listing page. Improvised the Invoice functionality. Added ‘Edit’ and ‘Delete’ option in the unbilled time listing. Added the option ‘Paid’ and ‘Unpaid’ to Invoice. Enhanced the “Unbilled Time Listing Page” to view up to ‘100’ unbilled time, aids to generate Invoice for a financial month with ease. Restricted non-admin users to view Timelog of other users. Non-admin users can see their own logs only. Estimated Hour, Start Time, End Time and Break Time. Time will be logged after successful import. Now you can have seamless viewing and interaction experience in iPad and Tablets. 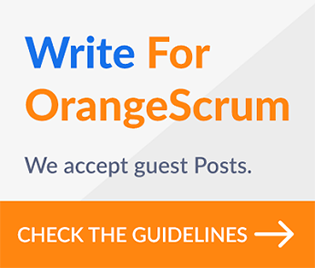 Now, Orangescrum welcomes guest bloggers for its Blog. Check out Dan Brody’s blog on Project Management Techniques. What we’ve learned over the the years is that it gives immense satisfaction to create simpler innovations for the vast majority of our customers. 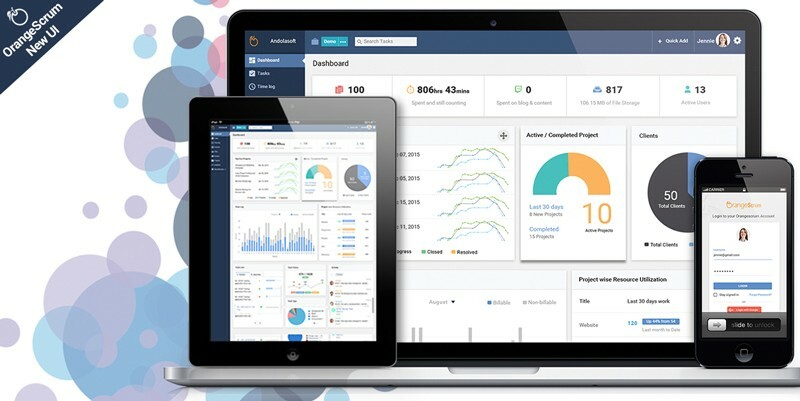 We have added 20 new features that provides better functionality with none of the headaches. Check out more at the Orangescrum updates page. “Stay on top of all your team’s tasks and projects, without being dazed. Try and have a feel…your suggestions are always inspiring! We’ ll love it. Share your thoughts with us at support@orangescrum.com. Check out the all new Orangescrum. The all new Orangescrum: Coming Soon…. Enter the Project Inception 10 Reasons Why You Need Kanban View Brand new Orangescrum just out of the door w/ ‘Google Material Design’!